An Aberdeen councillor who was elected as an MSP for the north-east has donated his local government salary to charity. Scottish Conservative Ross Thomson is holding a dual role at Aberdeen City Council and at the Scottish Parliament until the council elections next year. He said at the time of his election to Holyrood that he would not take two pay slips – and would instead give his councillor allowance for the remainder of the year to good causes. The first organisation to benefit will be the Maryculter Woodland Trust, which took ownership of a 165-acre wood in January. Mr Thomson, a councillor Hazlehead, Ashley and Queen’s Cross, said he was delighted to contribute to the good work of the organisation. 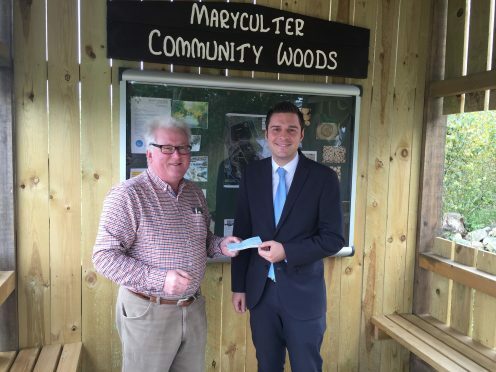 He said: “I have followed with interest the progress that the Maryculter Woodland Trust have made in raising tens of thousands of pounds to buy out the site from the Forestry Commission.